This is a first for my guild, we\'re expanding. 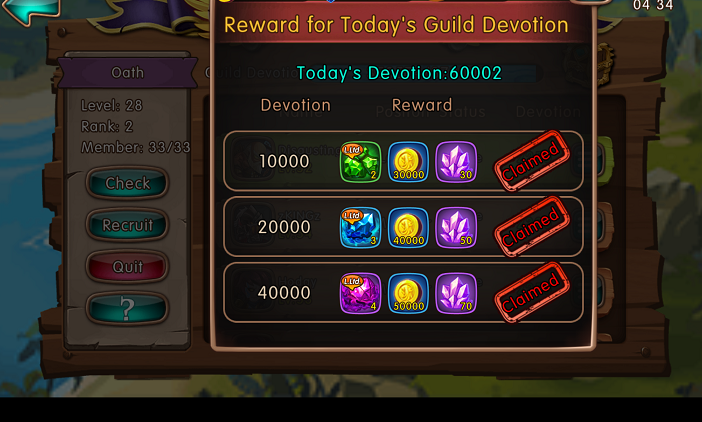 ;Not sure what the limit on members is for end-game, but with 33 people we reached 60k devotion today. Yeah, I agree with this. Although this will only effect the upper echelon of guilds, so it may be lower on the devs\' priority list to fix / upaste things such as this. 2019-4-21 14:58 GMT+8 , Processed in 0.062392 second(s), 38 queries .